One of the fittest stars of Bollywood, Hrithik Roshan is naturally bestowed with killer looks, exceptional dancing skills and a charming personality. However, for his physique, Hrithik has incessantly worked hard for years and this is the primary reason why he is honored with the title of ‘Greek God’ of Indian Cinema. His fan following is not only limited to India, but it crosses all the geographical borders. His popularity is set to increase in the next few years as he has reportedly signed for a Hollywood venture. Due to his hectic schedule, Hrithik likes to take a rest from exercising on Wednesday or combines the workout sessions of Monday and Tuesday. Thursday is for focusing on shoulders, calves and abs. Keep changing your exercise routine as change keeps your body going and help you workout holistically. 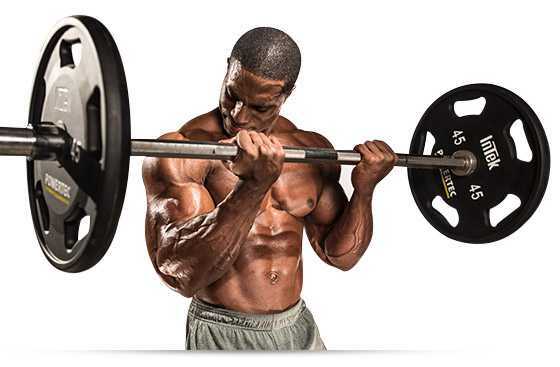 For high number of repetitions, keep the weight low. Before you hit the gym, do stretch your body. Do not carry heavy weight, if your body doesn’t allow you to do so. Make sure you take eight hours of sound sleep every day. It keeps you away from stress. The ‘Bang Bang’ star believes that the secret to having a healthy diet lies in what one likes to eat (i.e., the type o0f food) and in how much amount. Hrithik’s daily diet plan was charted out along with his nutritionist. One thing was kept in mind that Hrithik is fond of eggs therefore, they have to be a major part of his diet. Here is the three-meal day plan for junior Roshan. Hrithik ensures to take his dinner at least an hour-and-half before going to the bed. He generally repeats eggs for his dinner. Hrithik makes sure that his daily oil consumption is less than two teaspoons. Amount more than this could mean intake of extra calories and fat. Hrithik likes to have oil-free food. Hrithik’s muscular body is the result of less sodium intake and almost a negligible sugar intake. To cut down on sodium, avoid salty foods like junk food and instead of regular sugar, use sugar-free, which is available in both powdered and pills form. Hrithik’s knows the importance of keeping his body hydrated therefore, he usually drinks around eight to ten glasses of water every day. If Hrithik returns late from his shoots, he only eats enough to fill 70% of his stomach to avoid going to the bed with heavy dinner. Hrithik ensures not to take his meals immediately after exercising sessions. He keeps a gap of 45 minutes before eating after gymming. Before his Krrish days, Hrithik was taking around two packs of cigarettes a day and now due to health complications and to stay fit, smoking is a big NO for him. For snacking, Hrithik likes to eat a lot of fresh fruits and nuts. These provide him with healthy fats. When it comes to alcohol, Hrithik likes to follow the policy of abstinence. Include fibrous foods: For proper digestion, it is important to have fiber, minerals and vitamins in their natural form. Therefore, Hrithik does include spinach, sprouts and broccoli in his diet.